Lily Shepherd is setting off on the trip of a lifetime – she is moving to Australia to enter into domestic service, and to hopefully leave behind the past that haunts her thoughts. She is soon caught up with life on board, making friends with siblings Helena and Edward and soon dazzled by Max and Eliza from the first class deck. She soon realises that things are not as they seem with her new friends, but is it too late for Lily to not be affected by them. Though Lily knew when she set off that her life would never be the same again, little did she think that it would change so irrevocably before she even arrived in Australia. The book is wonderfully reminiscent of the old fashioned, golden age novels of the past. This is a story that soon draws the reader in, allowing them to be encompassed by a tale that appears to be glamorous and inviting but underneath is darker and more thought-provoking. Whilst there is murder and mystery on board the Orentes, there is much more to the story than that. There is the mystery surrounding Lily’s reason for being on the ship and for the reasons the other passengers are travelling to the other side of the world. There is the potential love stories, and hate stories between the passengers and it is a commentary on the class structure of the time. The characters are all extremely well drawn. There are a variety of characters, each one with individual traits and quirks that makes them easy to imagine. Lily is essentially a good character. 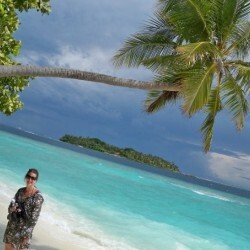 She is reliable and moral and though resistant at first is seduced by life on board. This makes her more susceptible to others and the story follows her path, showing how she is changed as a person as the ship sails closer to its final destination. Eliza and Max are complex characters as in their own way are Helena and Edward, all of them battling their own demons. All are described in a way that the reader can easily imagine them, and given that this is a character driven story, this element is vital. Setting the story on an ocean liner allows the tale to take a closer look at society. It puts the societal norms of the day under the microscope, class divisions are blurred and normal social lines crossed and briefly forgotten. It also highlights the anti-Semitism and xenophobia that was rife in the time leading up to the second world war, where people were open about their prejudices. Due to the current political and social climate this makes the story all the more impacting as a result. The writing is evocative, the reader can easily conjure up images of the sleek ocean vessel and its inhabitants. The atmosphere of the ship is vividly portrayed, there is a sense of how the passengers feel, a mix of excitement, dread and fear for a war that may or may not break out. There is a hint of Agatha Christie about the novel, a closed room mystery feel despite the fact that the setting is the middle of the ocean. Although there is murder and mystery there is so much more to this story. It is a story of life and death, of love and hate, understanding and intolerance and a study in society. 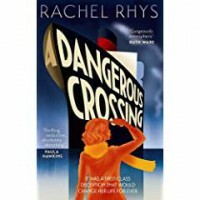 A Dangerous Crossing is the debut novel written by Rachel Rhys, which is a pseudonym of a well established crime writer. I do hope that we have more books from Rachel Rhys soon.